Do you have questions about our Discover Battery batteries, or questions about solar in general? Give us a call at 1-800-472-1142. 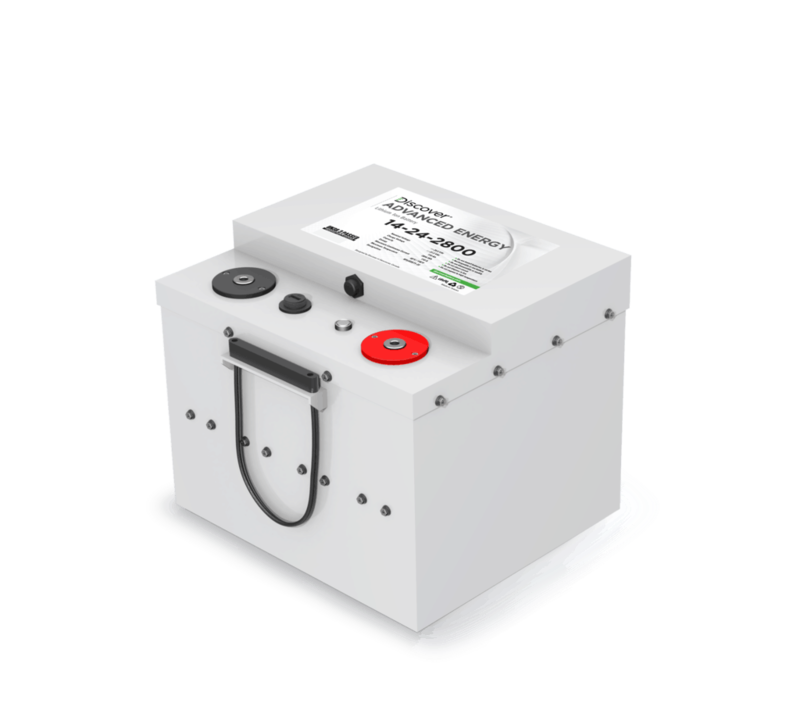 Discover Battery's Advanced Energy Systems (AES) LiFePO4 batteries offer the lowest cost of energy storage per kWh - period. Deeper cycling, lightning fast recharge, >95% round-trip efficiency, 1C continuous charge/discharge and a 10 year warranty combined with nearly zero maintenance provides dramatic total cost of ownership savings. Discover Battery is a world leading manufacturer of advanced batteries for Motive Equipment, Stationary Power and Renewable Energy Systems. Discover has extensive experience in battery design, innovation, optimization and manufacturing. Their Advanced Energy Solutions (AES) eliminate user-related issues while offering reduced maintenance costs and measurable performance gains. Read this PDF that compares lithium vs lead. Check out this Off-Grid Case Study from Lasquetti Island. A poorly designed system can ruin your batteries. Our Solar Battery Guide will help you size your battery bank properly and keep things running smoothly.